Journalists, news agencies, and other media people have been using the internet and tools from Google for a long time to assist them go about their duties. For example, weather channels occasionally make use of Google Maps and Google Earth to demonstrate the effects of certain changing weather patterns. The New York Times recently used Google+ Hangouts to conduct an interview with US Secretary of State, John Kerry, about Syria's chemical weapons. And it doesn't end there. 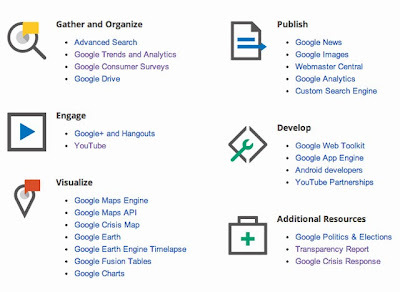 To assist journalists and media organizations further, Google has launched Google Media Tools, a centralized hub aimed at empowering journalists of all skill levels with more ways to connect with their audiences and communities. 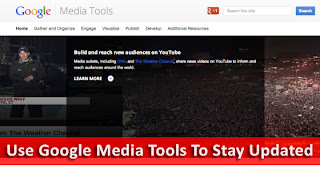 Google Media Tools, however, isn't just a listing of tools Google already offered. Rather, it's a one-stop shop that is a learning center as well so that journalists of all hues and skill levels can create compelling stories with all the tools Google has to offer. It helps journalists refine their advanced search capabilities, improve audience engagement through Google+, learn how to visualize data using Google Maps, and a lot more! It has many tips and tricks as well to make technology do some of the heavy lifting in the daily lives of journalists, and also showcases the power of the Internet overall in reaching new audiences and giving journalists more ways to make an impact. In addition to the conventional Google tools, the Google Media Tools also features cool resources for journalists, such as the Google Transparency Report which highlight data disclosures made by Google to governments around the world (I know right?). Also included is Google Politics & Elections, a useful tool to have especially when governments start to churn. And according to Google, more exciting stuff is on its way! I am waiting for some new widget by mybloggertricks for a blogger. Please release some new and useful widget. I need your help very urgently. I already post my problem on blogger help label, Please open my blog once www.tallyssolution.blogspot.com. Before a week my blog is not show wishlink ad on my blog. But now it is appear automatically. Please suggest how can i remove this ad. Because i am too much tired to see this ad. It is automatically appear on my blog, i do not enter any code of this script. Please help me.